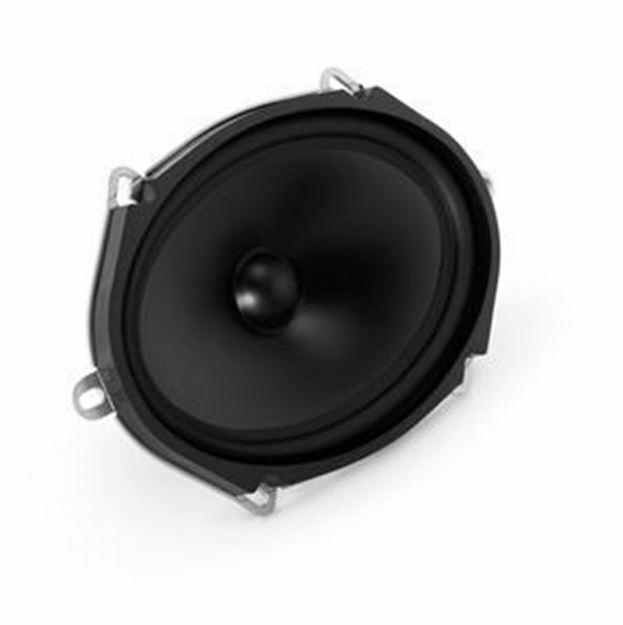 The C5-570cw is a 5 x 7 / 6 x 8-inch (125 x 180 mm) component woofer capable of accurate reproduction between 48 Hz and 5 kHz. It features a Kurt Müller cone and suspension and a die-cast alloy basket. The woofer design benefits from JL Audio's vast woofer design experience and advanced modeling systems. No grille is available for this woofer.